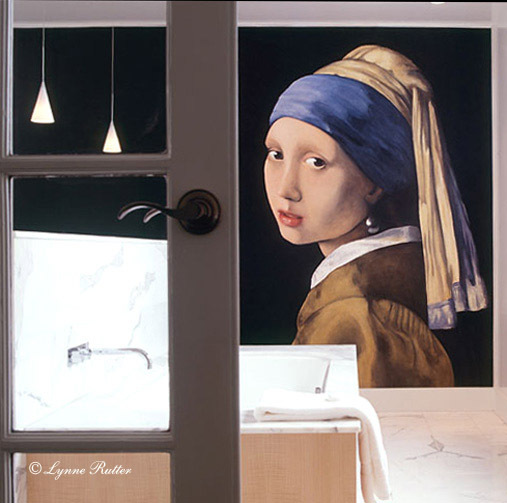 The March, 2001 issue of the Nob Hill Gazette has a large photo spread by R. Bengston on the home of Ellen Broadhurst and featuring the giant mural I painted for her of Vermeer's Girl With a Pearl Earring. Ellen also commissioned the Lacemaker from me for another house. She almost as big a fan of Vermeer as I am!